Be sure to put your coolest foot forward in our Kylie Chunky Platform Vegan Boots! 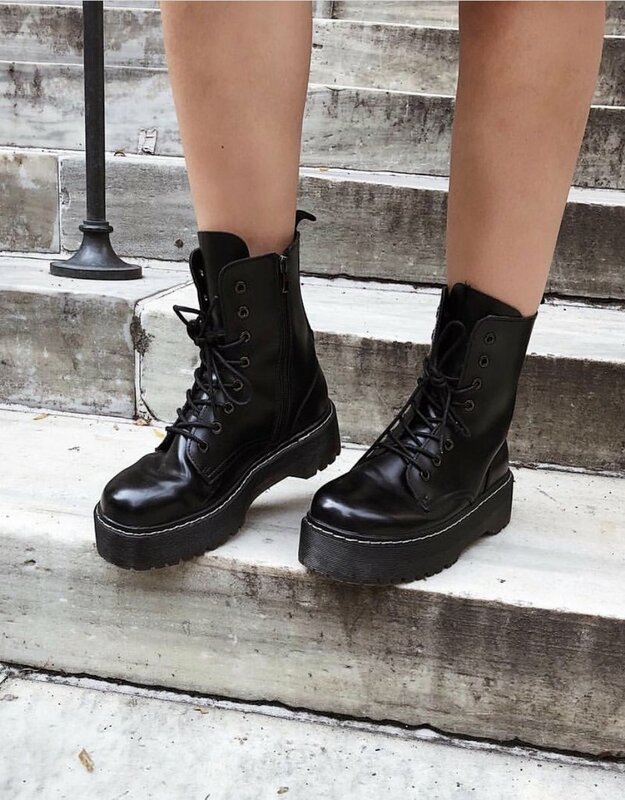 These Dr. Martens (Jadon) inspired platform boots are the hottest boots this season! Featuring a PU leather smooth finish, a 5 cm platform & a zipper. Style with our Lily Wrap Dress for a head turning look! Also available in white. ♡ Boots runs large. Take one size down your normal shoe size!